Painted turtle; photo by Bill Damon on Flickr (use permitted with attribution). An election for favorite state reptile was conducted on the Internet in 2004 (other candidates considered were the eastern box turtle and the common garter snake). The citizens of Illinois elected the painted turtle. 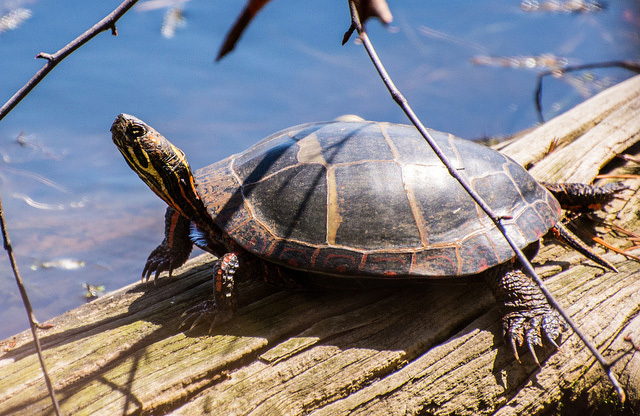 The painted turtle is one of the most widespread and abundant turtle species in the USA and Canada and a familiar sight in lakes and ponds throughout Illinois. Although it faces some threats, the painted turtle is considered to be of least concern in terms of current extinction risk. 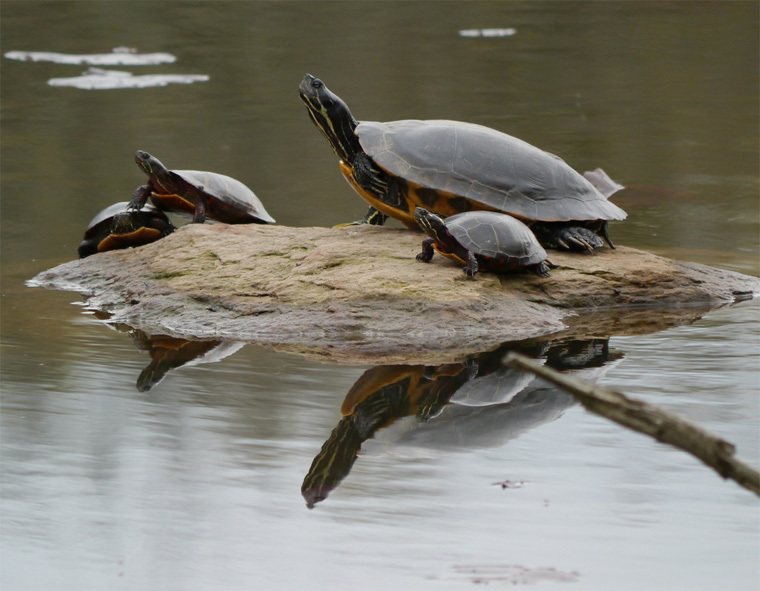 Painted turtles; photo by Kristi (foxtail_1) on Flickr (noncommercial use permitted with attribution / share alike).